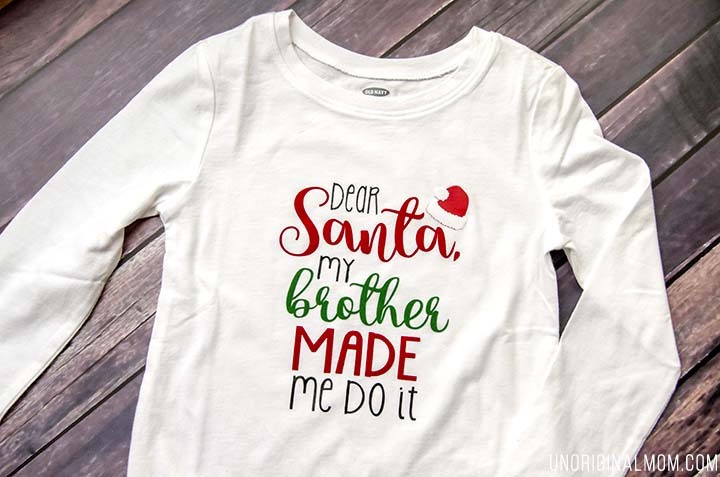 I’ve got a quick project to share with you today – these adorable and fun “Dear Santa” brother sister shirts for Christmas! 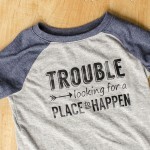 If you have kids or grand kids who young enough to wear whatever you put them in, whip up a set of these shirts ;-) I have a four year old daughter and a two year old son…and let’s just say, these shirts are pretty perfect for them. A special thanks to ProWorld, Inc. for sending me the vinyl for these shirts! 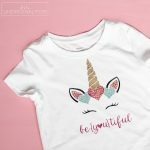 I used flocked red and green heat transfer vinyl as well as regular black Siser easyweed. I love the texture that the flocked HTV adds! 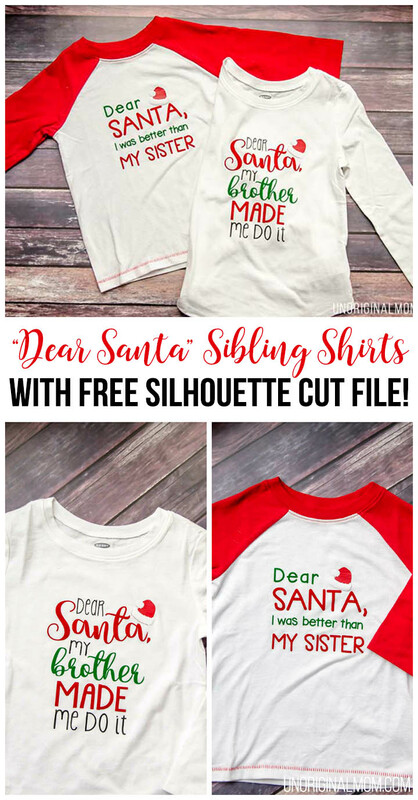 I’ve added both of these cut files to my Silhouette Library (I made both a brother AND sister version of each file) – you can download them for FREE by signing up below! And now, a Christmas gift for YOU, dear readers! I’ve teamed up with ProWorld, Inc, to bring you a giveaway for a brand new Heat Press! We’re giving away a TransPro Mini Heat Press, valued at $199! 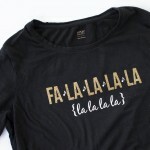 You’ll be able to make a whole lotta Christmas shirts with this baby. 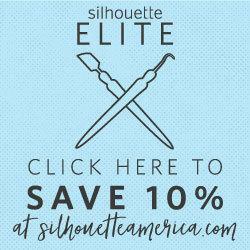 Be sure to enter via the Rafflecopter widget below – good luck! Fine Print: A winner will be randomly selected and contacted on 12/12/16 via the social channel of their winning entry. The winner will have 24 hours to claim their prize. At that time Pro World will mail the heat press to the winner so that they can start crafting! In order to win the heat press you must be 18 years or older and live within the United States. This giveaway is in no way sponsored by Facebook, Instagram or Twitter. I am stopping by all of the projects today to see what everyone else came up with! 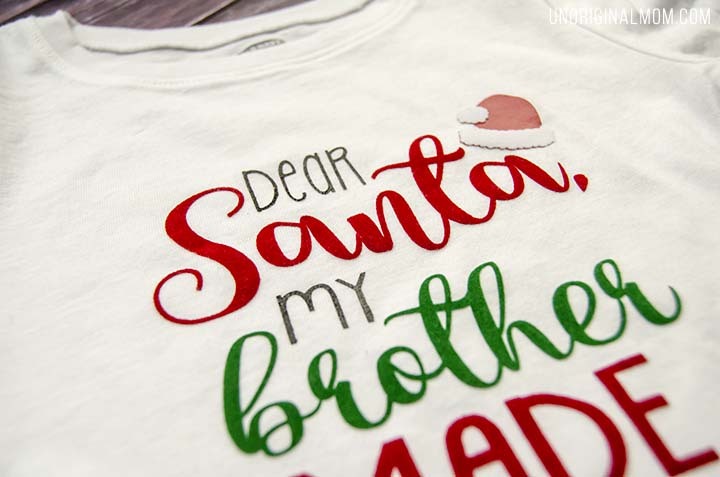 :) I love that you used several colors of the heat transfer vinyl on these shirts! I have yet to try that, I usually stick to one color! 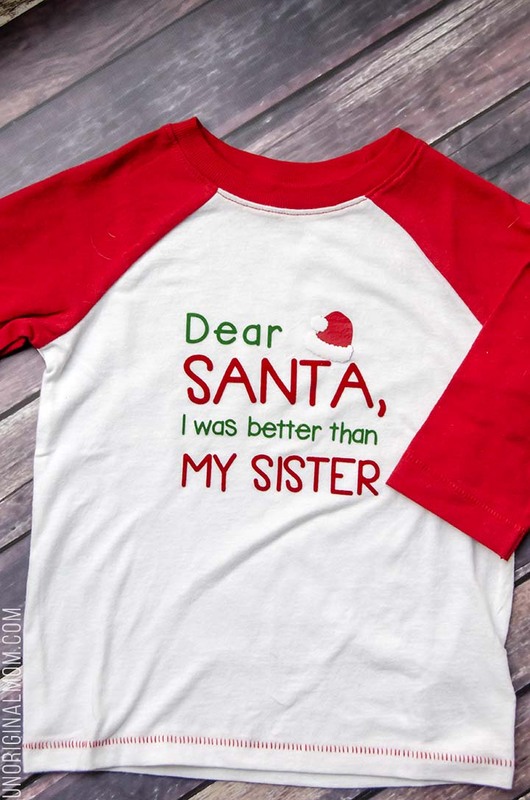 These are adorable shirts. I have a boy and girl and yes, they are competitive! lol! Omg so cute love so much new here and will now be having a good browse now. 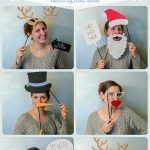 How did you make the santa hat? Hi Jaime, it’s just smooth red heat transfer vinyl that I layered flocked white heat transfer vinyl on top of.